Yes, I think it’s this ‘hanging on’ that’s giving it these weird shapes, all that melting and refreezing. A shadow landscape, what a great description! 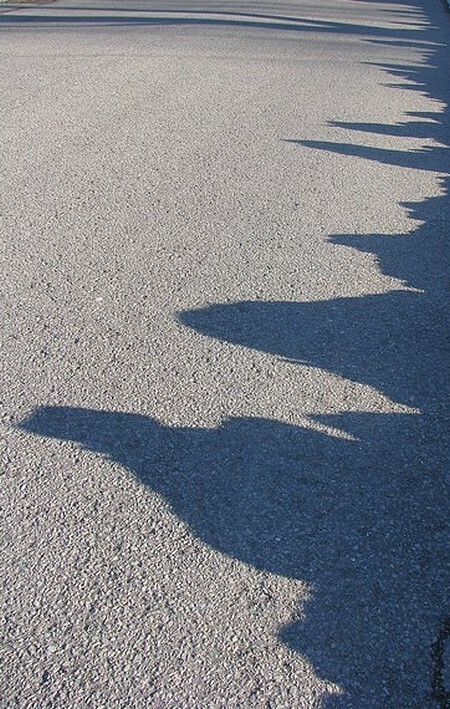 Love those shadows and your creative photo! Very cool marching snow shadows en bleu! I love this. There is a sense of vastness to it and an abstract quality to the random shapes and shades of grey that is very intriguing. And the texture is so unusual. I don’t think I would have guessed it was snow if I hadn’t read the comments. But now that I know it is, I can feel its crispness and simultaneously sense its imminent demise. Love that last sentence, Elizabeth. Perfect.